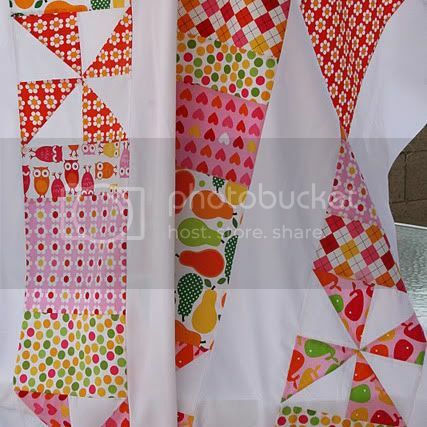 Quilt Story: A Joyful Soul Fabrics giveaway!! 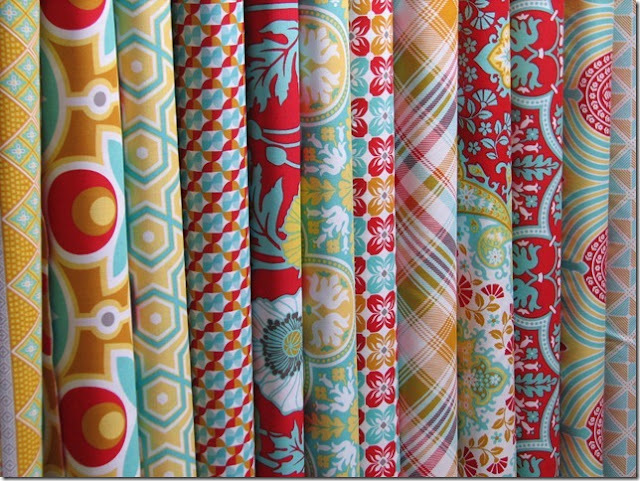 We have a great giveaway today from A Joyful Soul Fabrics! 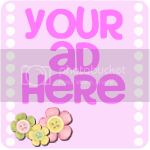 $50 give certificate to buy whatever your heart desires from the shop! We specialize in contemporary fabric and patterns to inspire your creativity! 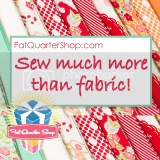 Our Fat Quarter Club is a fun way to shake up your fabric stash by receiving an automatic shipment of 12 fat quarters on the 1st of every month for $35 per month (plus tax in Texas and shipping). For more information, visit Fat Quarter Club. Club collections are listed on the info page. Our club members received Joel Dewberry’s Notting Hill this month! (If you want in on this collection, we have a few left! 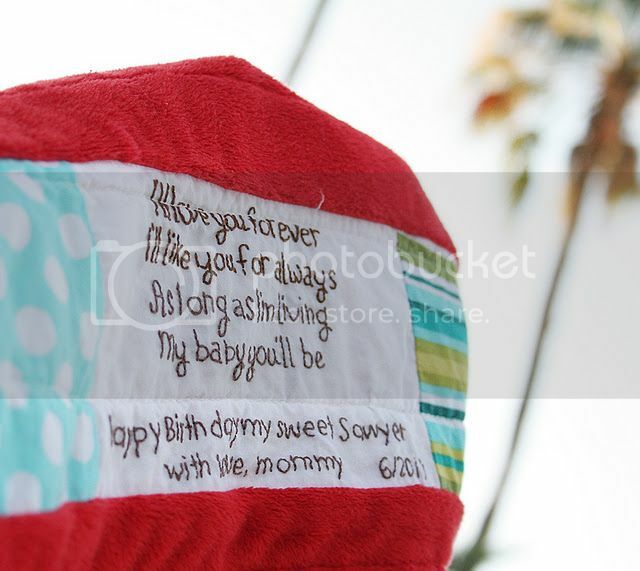 Email us at shop@ajoyfulsoulfabrics.com.) 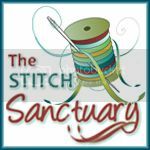 Jen W. from Texas says: “I love the club because it is reasonably priced and I get to build my stash of great fabrics!” We also include little freebie gifts from time to time! Our December shipment went out with a free pattern that our members can use with their December fabrics! 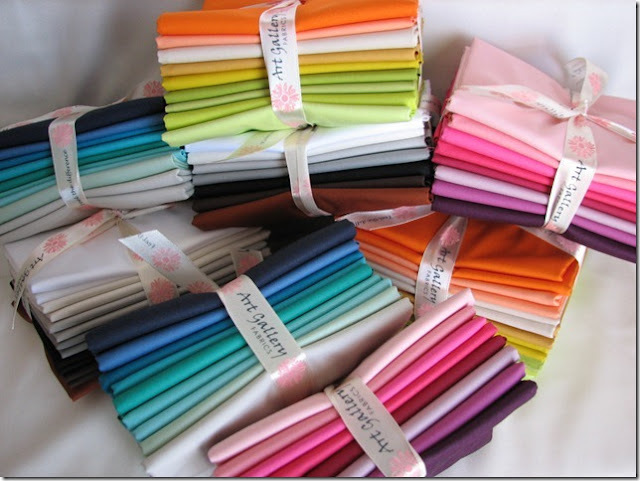 We’ve also just brought in the entire line of Art Gallery Fabrics Pure Elements Solids! We are HUGE Art Gallery Fabrics fans here and love the luxurious feel and hand of their fabric! 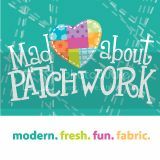 We have color cards, yardage and 1/2 yard bundles! We are anxiously awaiting the arrival of Salt Water by Tula Pink and Alchemy by Amy Butler. Both lines are arriving this month! 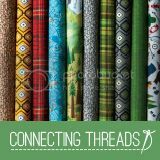 We will have yardage, Design Rolls, Charm Sets and Fat Quarters as well as Quilt Kits in both lines. 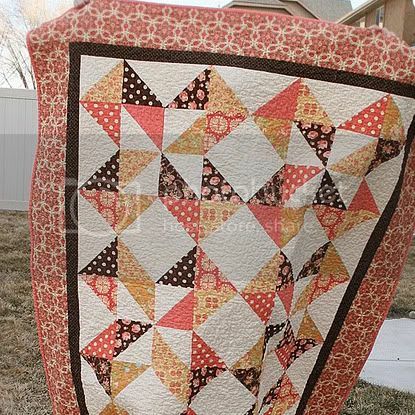 This pre-cut Hexagon quilt kit will be available in January. 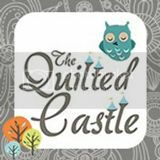 We are offering up a $50 gift certificate to a Quilt Story reader! You can also follow us on Facebook, and check out our fun projects over at our blog, . Here’s a little discount code for you! QS20 will give you 20% off your entire purchase (regular price items only, not valid on Gift Certificates, Fat Quarter Club or Boutique items)! Good until Friday at MIDNIGHT! Giveaway winner announced next Friday! 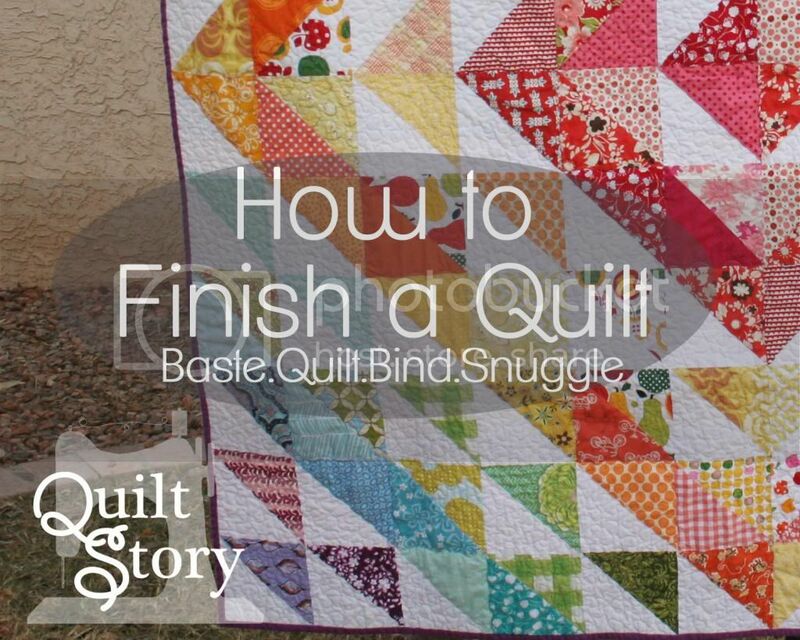 I think I'd choose a fat quarter pack and maybe an Amy Butler Pattern? What a beautiful selection you have! I've visited A Joyful Soul blog! Lots of great things to look at! Just checked out the blog. 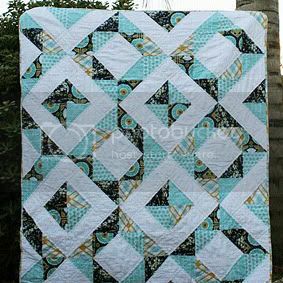 Cool tutorials for quilt blocks! 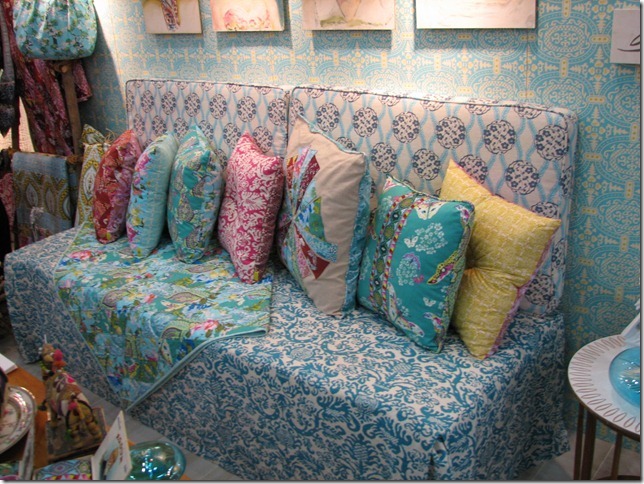 I love the look of Rhapsodia at A Joyful Soul Fabrics! Lots of pretty things to buy! 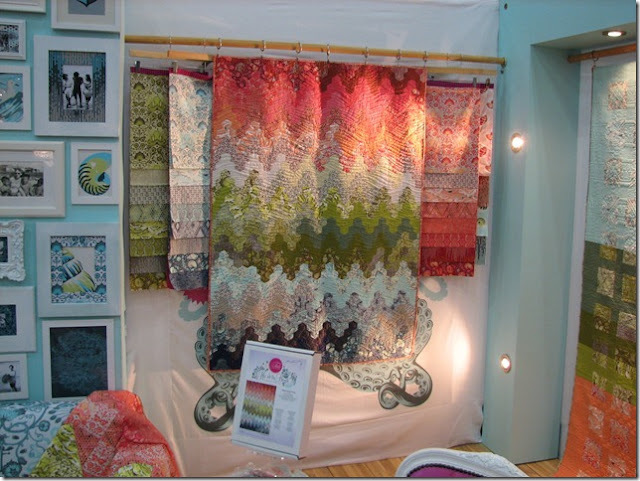 I visited A Joyful Soul Fabric's blog too. I used the gift certificate for the Berry Pure Elements Solids 1/2 Yard Bundle and some Rhapsodia fabric. Visited Joyful Soul blog and commented...Thanks for the great giveaway! I would buy a 1/2 yard bundle of Notting Hill! I visited joyfulsoul blog and left a comment! I would definitely hold onto it for Salt Water!! I visited their blog - lovely! I would definitely save it for Saltwater! Can't wait for it. Thank you for a fantastic give away! I'd choose some Rhapsodia and some Pure Elements Solids. Thanks for the chance to win! I checked out the Joyful Soul blog. What a great collection of tutorials! And lots of paper piecing which I love. hello! I follow A Joyful Soul Fabrics on fb! 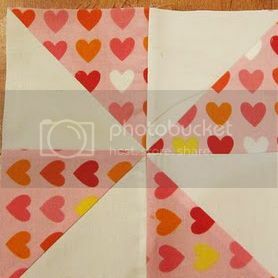 I visited AJS blog - great paper piecing tutorials. Wow, what a wonderful giveaway! I would get some of those lovely Pure Element bundles! I follow Joyful Soul blog thru email. Finegrs crossed!! I would order Rhapsodia - such great bright colours! I really like the Lark line. Checked out the Joyful Soul blog (and started following). It's great. I visited your blog. Lots of information! Thanks for the giveaway! Already a facebook follower! Great shop. I think I'd choose Gypsy Girl. Love those prints and bright colors! 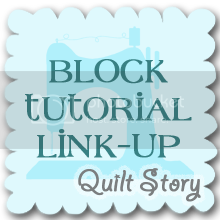 I've visited her blog, and I love the block of the week feature! I follow A Joyful Soul on FB. I am now following A Joyful Soul on facebook! I follow A Joyful Soul's blog! I visited A Joyful Soul blog and will be getting it in my rss feed from now on. I love all the tutorials!! Thanks for sharing them with us! If I won, I would try to hold out for the Tula Pink SALT WATER! I would order from the Lark collection. I love the Hello Luscious line from Basic Grey or the Apothecary from Tula Pink! LOVE! I liked A Joyful Soul on FB. I'm a facebook fan of Joyful Soul. I'd probably get fabrics from a variety of lines. But, you asked for a line of fabrics and I'm thinking the Pure Element Solids would challenge me. I like the Facebook page of A Joyful Soul. I would buy Salt Water by Tula Pink. I am a follower of the Joyful Soul blog. I visited the blog and I'm loving the block of the week posts! 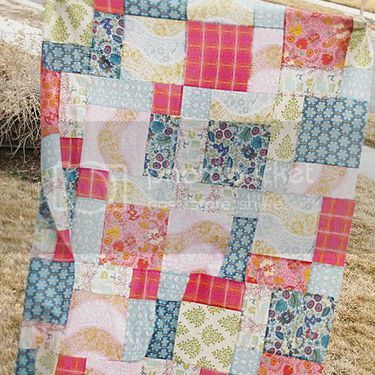 Oooh, an Amy Butler fat quarter pack sounds lovely! I would order from Birds & Berries. Thanks! I follow Joyful Soul's Blog. Love the blocks she's been tuting! I would buy the fat quarter club pack. I love that. I visited a joyful souls blog. I love what I saw and now I am following. I'd order the Lark Sampler Kit! I visited the blog and really like all the tutorials! I would be buying Notting Hill ....love it! I am a follower of Joyful Soul's Blog. Visited her blog and became a follower - great stuff over there! I would buy some LillyBelle! Already follow A Joyful Soul on facebook! I would order Gypsy Caravan with a gift certificate! Visited A Joyful Soul blog! I follow Joyful Soul on FB! I checked out Joyful Soul's Blog. 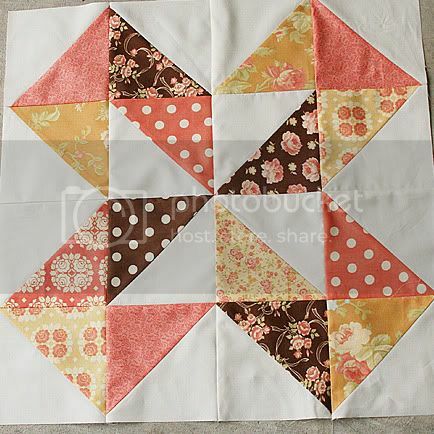 The Block of the Week #11- Rocky Road to Kansas tutorial was fantastic! Great blog! I love Amy Butler's Angelica Clover fabric! This is what I will order if I win the $50 gift card! Thanks for the chance to win! I Like A Joyful Soul on FB! I would use it for some Notting Hill! I follow their blog! Thanks for the chance to win! I visited their blog - nice block on the latest post! I like the Cameo fabrics in their store, but if I win who knows what I'll pick! I'm not sure which fabric I'd chose, maybe Cameo. I love the Pure Elements Solid line! I visited A Joyful Soul blog! I visited the blog and a jolly good time I had too! I really like the Notting Hill bundle. I already follow them on Facebook. i visited their blog and loved it so much that i started following them :D thanks for a fun new find!!! i'm the newest Facebook fan. woot woot!!! If I had a GC to use, I'd probably go with Basic Grey's Hello, Luscious. Hi I just found your blog & really like it. I enjoyed the tutorials on the Joyful soul blog, I want to do some of the patterns. 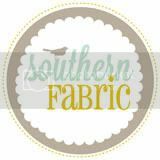 On the Joyful soul site I would get some of the Eclectic Modern fabric or the Lauren & Jessi Jung fabric. They both have very nice prints. i'm having a love affair these days with solids, so i would be thrilled to order the Berry Pure Elements Solids 1/2 Yard Bundle. ahhhh!!!! so much good stuff!!! I would probably order some Notting Hill. Visited their blog - love that tutorial for the Rocky Road To Kansas block! Oh my, so many luscious fabrics. If I had to choose today, I would select some Pure Elements solids. 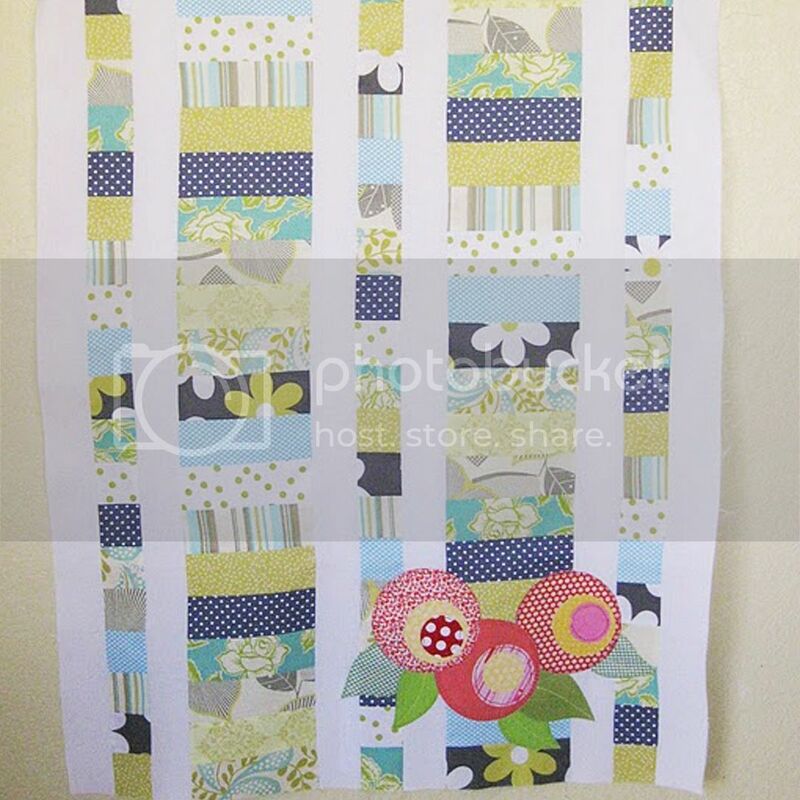 I've been branching out and trying new solids, and the Art Gallery fabrics are so wonderful! Coquette would be my choice. HI! I THINK I'D SELECT HELLO LUSCIOUS! THANK YOU FOR SHARING! VISITED 'A JOYFUL SOUL' AND REALLY LIKE THE ROAD TO KS. BLOCK! I'd hold onto it until Salt Water comes in! I follow on FB already, love! I think I would wait for Salt Water to arrive! I went on the fb page and liked it. Looking forward to their posts! I would love the Amy Butler Alchemy. I have a stash of her fabrics and love them all if I won!! 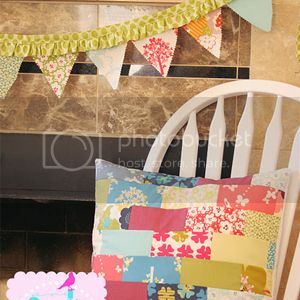 I went to thier blog page as well, I love the paper pieced block tut she has posted. I have made that before for someone in a bee. Thank you! I went to the Joyful Soul blog and followed it! Thanks for recommending it. It is fab!!! I Explored the Joyful Soul blog! What great tutorials. I would love to have Tula Pinks new line Salt Water! Thanks for the chance to win a great prize! I would definitely get some Salt Water!! No doubt in my mind what I would order...Salt Water Solids! LOVE them! I visited the Joyful Soul blog. I visited their blog and am a follower now. Fun stuff! I think I would have to order Rock n Romance! I visited and already follow their blog! I think I would buy some of the Pure Elements Solids! They are beautiful and my stash is always lacking in solids. 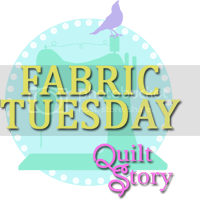 I visited A Joyful Soul Fabrics blog and now follow it in my G Reader! 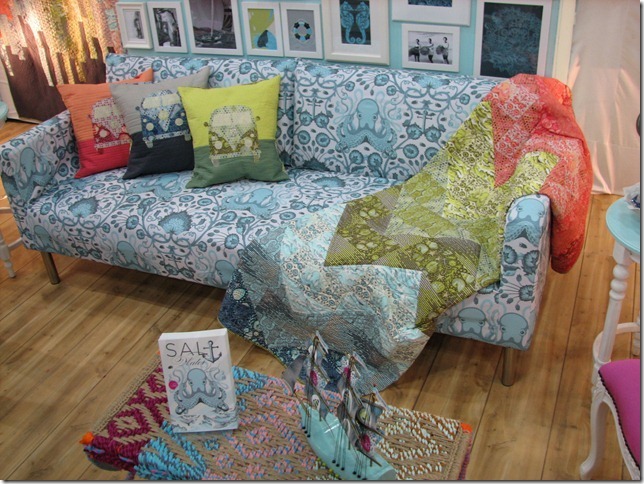 I like Tula Pinks "Saltwater"
I visited the blog! Thanks for the giveaway! I follow the blog through GFC! I still really like Amy Butlers cameo line. Thanks!! There are so many fabrics to look at, it's hard to choose. I liked Hello Luscious 12 Fat Quarters Set. I have visited A Joyful Soul Fabrics and checked out the Block of the Week #11- Rocky Road to Kansas tutorial. Thanks. I like A Joyful Soul on Facebook! I really liked the Stash Builder Fat Quarter Set in their store! 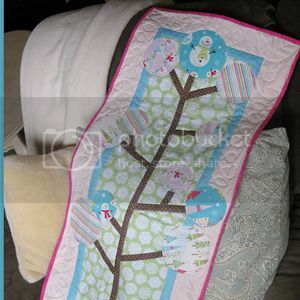 I visited A Joyful Soul's blog and saw their block of the week! Ooh! I think I would get some fat quarters of Amy Butler's new Cameo line. 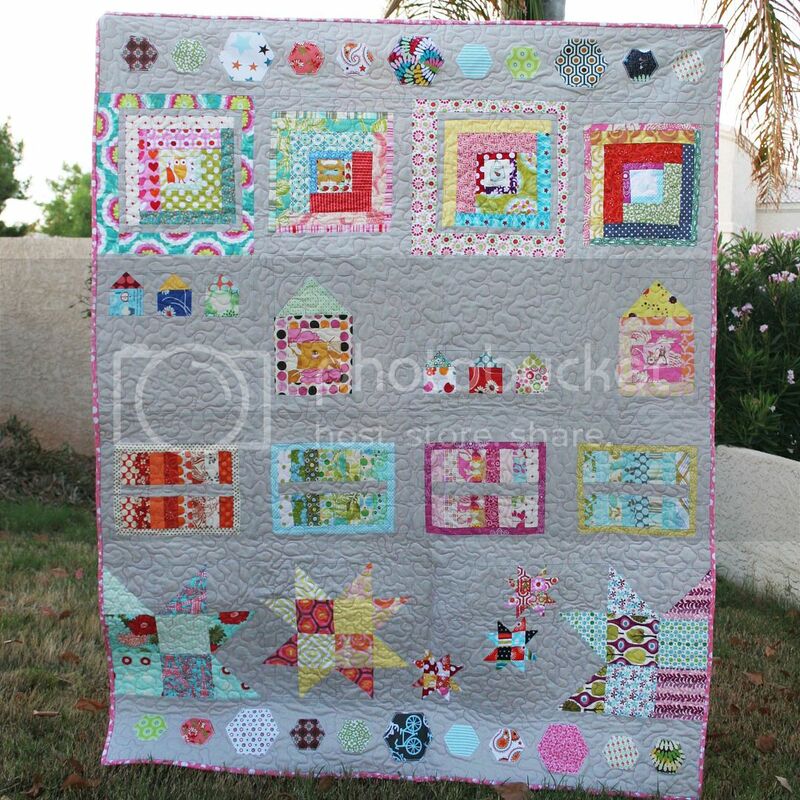 Visited A Joyful Soul's blog - so many great quilt block patterns! I visited the website and love the Amy Butler fabrics. I visited their blog and love the star block they are featuring. I visited A Joyful Soul's blog, some amazing blocks there! I already like Joyful Soul on FB!! At the moment I am loving Dewberry’s Notting Hill - love all those colours and prints!!!! Their blog has great tutorials - clear instructions and great photos!!! I love the new Amy Butler so it would have to be that! 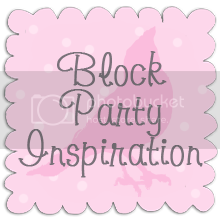 I visited the blog - love those block patterns! Visited their blog...love that Rocky Road to Kansas block. I'd probably choose solids, but I also like the boho stitches in dark. I'd wait for Salt Water. We must be kindred spirits- I love Tula and ADORE AGF! I'd order Tula Pink Salt Water when it arrives. Thanks for the chance to win! I visited Joyful Soul's blog. I would buy me some Gypsy Girl.